Do you have a lot of vegetables that have been harvested from your garden? Fresh vegetables make the best ingredients when preparing a meal like garden vegetable soup. A simple recipe is available to use to make a batch of soup to can for future use. 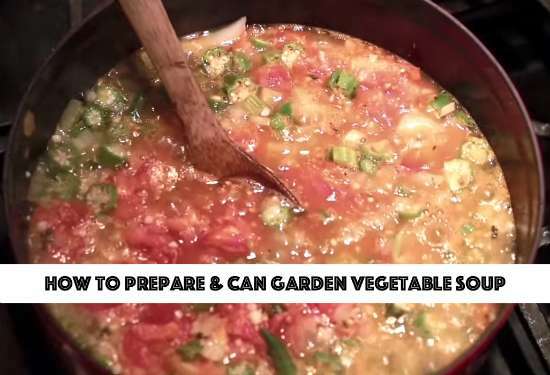 You will use the water bath canning method to can your garden vegetable soup. This is the last step for you to do once you have prepared your vegetable soup. Almost any type of vegetable you grow in your garden can be used in your soup. Garden vegetable soup is a great way to have a healthy meal. Canning the soup means you do not need to keep the soup in your refrigerator. You can simply put in your pantry.